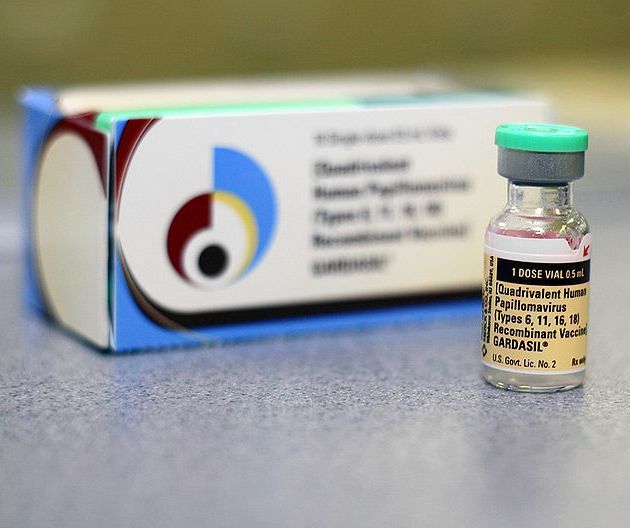 The FDA has ordered the manufacturer of Gardasil, Merck, to add a few more side effects to the HPV vaccine’s label: fainting, tonic-clonic (jerking) movements, and “seizure-like” reactions. The FDA suggests that physicians talk to patients about these risks. They also suggest that girls remain at the doctor’s office for 15 minutes after receiving the shot so their reactions can be monitored. Lay down for 15 minutes in case of seizure or fainting. But is “laying down” the right prescription for this vaccine? Some of us here at Eco Child’s Play have been skeptical of this vaccine, myself included. We have chosen to minimally vaccinate and hold off on some vaccinations for my young sons, under the care of their holistic pediatrician. But I also have a 13-year-old stepdaughter, who will most definitely not be getting this vaccination. Because there are far too many questions for the FDA and Merck first, especially now that these freakish reactions have been added to the list of precautions. There is not measurable thimerosol in the Gardasil vaccine. As you might know, thimerosol has been removed from the required vaccines on the Childhood Immunization Schedule because that preservative is 50% mercury. Mercury is a known neurotoxin. Now, since the mercury isn’t causing the brain to make a “seizure-like reaction”, what the heck is? If my child does not have epilepsy, a very serious disorder in its own right, why should she have a seizure after receiving a vaccination? Doesn’t a seizure signal something serious happening in the brain? Could this lead to other problems? Might we want to investigate Gardasil further before requiring it for our girls? Currently, there are far too many questions about this vaccination. I hope for everyone’s sake that it does not become mandatory before it can be studied: independently, fully, and long-term. I opted out of this vaccination because I have always been extremely sensitive to side effects. What I DO know is that homeopathy can reverse any negative side effects of vaccinations. I have learned this through experience as well as from others’ stories. Good luck to both of you! My sister immediately had four back-to-back seizures after getting her first gardasil vaccine. Neither her nor my family have any history of seizures. I have received all three shots without any side effects. Her episode of seizures was terrifying and the doctor had no idea what to do. I am convinced that this vaccine was directly related to her seizing. I had my first Gardasil shot in June 2008. I decided back then that I would not finish the series because of all the bad rep this vaccine had received in the media. I recently reconsidered that decision and received my second Gardasil shot earlier today, July 15, 2010. I fainted a few minutes after receiving the shot and went into a seizure. I have a history of fainting easily, but I have never suffered from seizures. There is something wrong with this vaccine and what I experienced today was exactly why I was so apprehensive to continue the series.